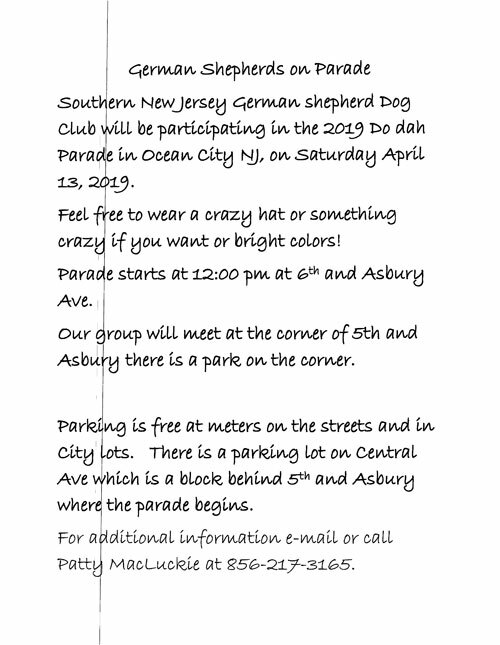 The Southern New Jersey German Shepherd Dog Club is made up of GSD enthusiasts from all over Southern New Jersey. 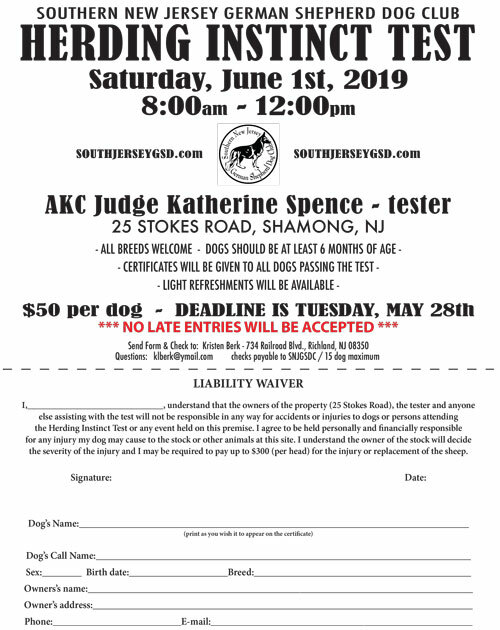 Our club is made up of members who participate with their dogs in a number of venues including Tracking, Agility, Herding, AKC Obedience, Rally, and Conformation, Schutzhund/IPO protection sport training, Search and Rescue, and various other disciplines. As a group, we aim to preserve the standards of the breed and encourage the temperament for which the breed was created. 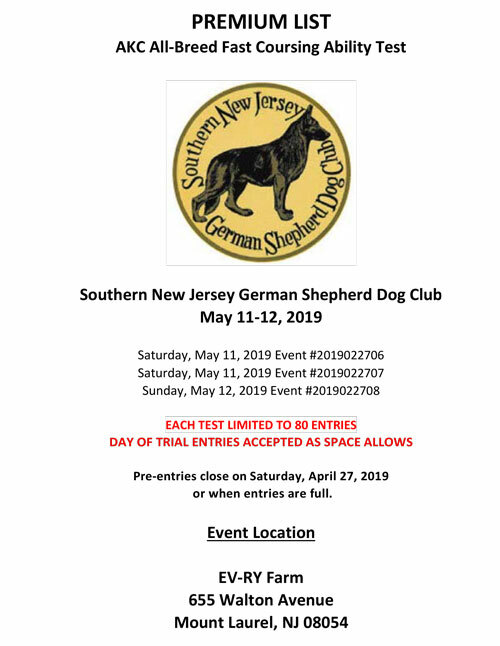 To promote the pure-bred German Shepherd Dog and to encourage breeders to bring the natural qualities of the German Shepherd Dog to perfection.